H2020 SMARTCHAIN project just launched its website! - foodforces Webseite! H2020 SMARTCHAIN project just launched its website! 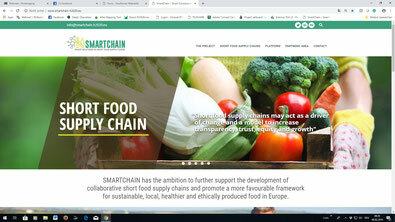 SMARTCHAIN is an ambitious, 3 year project with 43 partners from 11 European countries including key stakeholders from the domain of short food supply chain as actors in the project. The central objective is to foster and accelerate the shift towards collaborative short food supply chains and, through concrete actions and recommendations, to introduce new robust business models and innovative practical solutions that enhance the competitiveness and sustainability of the European agri-food system. SMARTCHAIN has just launched its website. The website will be the main source of information about the project activities and results. The website will be regularly updated with all project relevant documents, news, events and other resources. As the target audience of the project is very diverse, including citizens, consumers, Agri-food supply chain practitioners, but also policy-makers and academics the website is constructed in a simple manner, driven by SMARTCHAIN contents and enabling the different users to navigate the website and find the relevant information for them quickly. Please, visit the web for further information about the project! We all know that a way to the excellent design is not easy and at the same time expensive. However, it does not have to be this way! 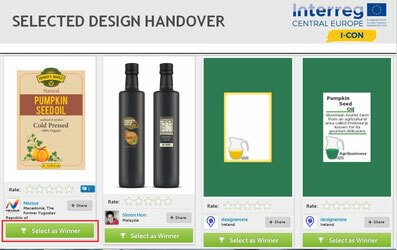 Crowd Design Platform (CDP) is a great I-CON tool for food SMEs. Sometimes they want to change packaging design, logos, promotional materials etc. On the other hand, sometimes they just need new ideas for affordable price. After successfully completing many pilot projects, I-CON consortium is convinced that CDP is a very useful tool for obtaining new design by taking just few steps. The most crucial part is definitely a brief. Good brief is an important part of a good design, so the SME needs to provide designers as many information as possible about needs, wishes and/or about the company itself. 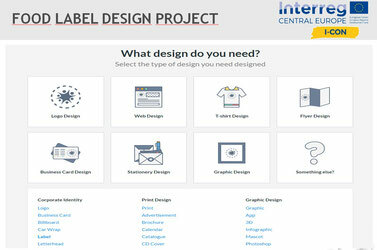 CDP offers the upload of documents, for example the existing design, logo, etc. Within a few hours, SME can get first designs. At the end of the project, 20 sometimes even 80 designs are sent to the SME, which depends on the selected package and difficulty of the design (e.g., logo can be easier to design than the packaging for a specific food product). The last step is to choose the favourite design, but it is important to keep in mind, that as a company, you can always request the designer to change something if needed. Thus, use the Crowd Design Platform to design your business! The I-CON project stands out to put together food SMEs needs and solution providers, enhancing their own potentials along the food value chain in order to increase SMEs competitiveness and above all to create a sustainable socio-economic multiplier effect. More than 200 SMEs analyzed by the partners, more than 70 good practices and solutions identified, more than 72 funding opportunities on food sector innovation collected, thanks to an effective international cooperation between 10 partners from 7 central European countries (Austria, Hungary, Poland, Slovakia, Slovenia, Germany and Italy). Partners: CCSI-Chamber of Agricultural and Food Enterprises Slovenia, Business Upper Austria, Campden BRI Hungary, STRIA-South Transdanubian Regional Innovation Agency, CNA Regional Association of Emilia Romagna, UNISEF Industry Association Service & Training of Treviso and Pordenone, University of Hohenheim, Polish Chamber of Food Industry and Packaging, and Slovak Chamber of Commerce and Industry. Joint declaration to transform the agri-food sector in Europe into a more competitive, sustainable and trusted sector, securing the production of safe, nutritious food that every consumer loves. The European Technology Platform ‘Food for Life’, FoodDrinkEurope, the European Federation of Food Science and Technology (EFFoST), EIT Food, Food Nexus and FOODforce have issued a declaration to transform the agri-food sector in Europe into a more competitive, sustainable and trusted sector, securing the production of safe, nutritious food that every consumer loves. 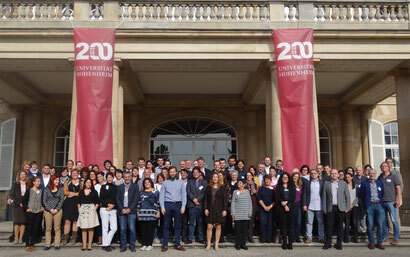 These organisations, key stakeholders in the agri-food sector representing farmers, food producers, academia and other actors in the food industry, share a common vision to create a broad, pan-European movement with the citizen at its heart, connecting and leveraging all actors and initiatives underway. 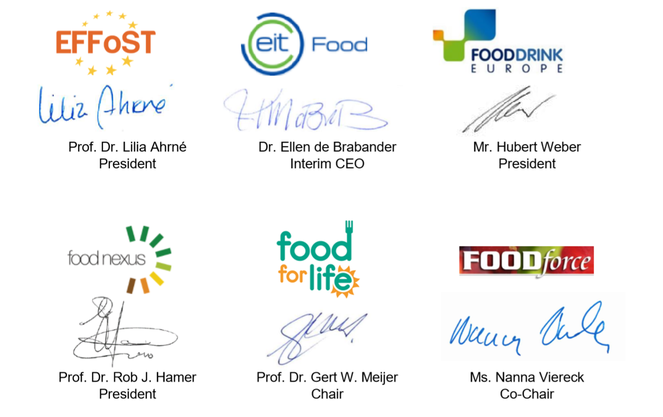 The signatories of the declaration call on the European Commission and Member States to support this strategy through a comprehensive program in FP9, targeting technological solutions in food security, sustainable farming, food safety and healthy nutrition. Please click the file below to download this declaration. New H2020 project: SMARTCHAIN "Towards Innovation - driven and smart solutions in short food supply chains"
On the 1st of September, the new H2020 project SMARTCHAIN: "Towards Innovation - driven and smart solutions in short food supply chains" will be officially launched. 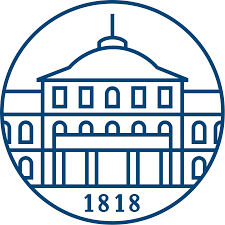 The kick off meeting will take place on the 17th and 18th of October at the University of Hohenheim, Stuttgart, Germany. The European project BIOCARB-4-FOOD "Extraction and characterization of BIOactives and CARBohydrates from seaweeds and seagrasses FOR FOOD-related applications" will officially start the 1st of September 2018. The kick off meeting will take place on the 7th of September in Valencia, Spain. BIOCARB-4-FOOD proposes to explore, in close collaboration with industry, novel, environmentally friendly and efficient extraction techniques (ultrasound, microwave, enzymes and their combinations), combined with the exploitation of the remaining biomass, rich in bioactive compounds, to sequentially obtain novel carbohydrate-based extracts and fibers (nanocellulose) from seaweeds and seagrasses. This SUSFOOD2 project will characterize structure, technological properties, toxicity and bioactivity of the fractions obtained from the various extraction technologies and a life cycle assessment (LCA) will also be conducted for proving the sustainability of the procedures. The project is expected to contribute to improved process efficiency, development of ingredients with high added value from already commercialized seaweed species and from under-exploited sources (seagrasses) which can positively impact in the competitiveness of seaweed, food and non-food companies at EU scale by a better valorization of raw materials. 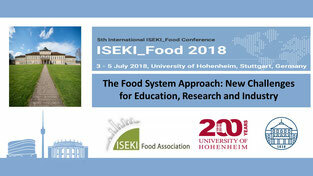 In the frame of the 5th International ISEKI-Food Conference 2018 at the University of Hohenheim, Peter Jongebloed, as a keynote speaker representing FOODforce, gave a presentation on ‘How to implement a FOOD system approach in Horizon Europe’? Food has a twin identity: it has an important role in the unprecedented global challenges we face. But, on the other hand, it can be a central component of the solutions for these global challenges and thus also meeting the UN’s Sustainability Development Goals. A well-established Food System Approach is essential to come up with the game changing solutions needed. However, the Food System involves complex interactions among the different actors in the different parts of the value chain and value net. We see that actors of the value net often work in do not work together, do not meet each other, thus act as independent silos. 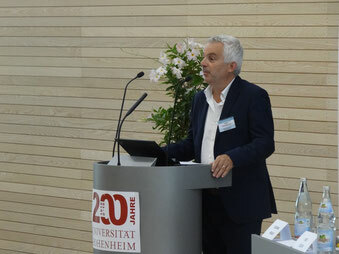 As such, the role of consumers and citizens as consumers are strongly undervalued. This makes the impetus to encourage stronger involvement of European citizens an even bigger challenge. A transition from the current unsustainable food system to a healthy, circular and resource-efficient paradigm is essential. Such transitions will be hugely complex, since the multiple patterns of food production and consumption are closely interconnected and changing one aspect can easily have major unintended consequences. Therefore substantial actions are needed which must be driven both by science as well as the values and engagement of European citizens’. FOODforce has identified and synthesised three major gaps “The Grand Gaps” in the complexity of food systems. These gaps can be filled with a set of approaches and solutions, to make the transition happen. Based on that, a FOODforce Position Paper "Food System Approach" will be available soon. 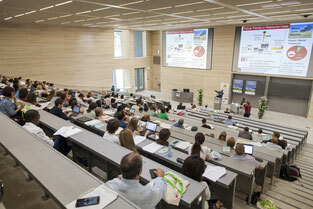 University of Munich*, Germany, two global leaders in food sciences.